Dr. Girdhar Gyani held the assignment as Secretary General, Quality Council of India during 2003-12. He was assigned with the responsibility for establishing & operating national accreditation structure and promoting quality in all walks of life. Starting with a team as small as four members, Dr Gyani has raised QCI to a level, where it is playing a key role in facilitating quality as national framework for vast canvass ranging from manufacturing, education, skill development, environment, healthcare and governance (public services), benefiting Indian Trade & Industry on global platform. Dr. Gyani has the rare distinction of serving as elected director on board of International Accreditation Forum (IAF) during 2004-10. He has worked extensively on improving effectiveness of quality certification process through actual field validation, findings of which have appeared in prominent international quality journals. He is known to have promoted using of third party conformity assessment structure to improve regulatory quality and in turn effectiveness in governance with the motto; "Quality for National Well Being" His contribution in developing accreditation scheme for Environment Impact Assessment (EIA) for the first time in the country has been widely appreciated by government as well as by industry. One of his towering contributions has been in establishing and operating national accreditation structure for healthcare (NABH) for the first time in the country and where he worked as its CEO till he superannuated in May 2012. He has distinction of being first Indian to have served as elected director on board of International Society for Quality in Health Care (ISQua) for 2009-14. In the area of education, based on the task assigned by Dr APJ Abdul Kalam, then President of India, Dr Gyani has the distinction of evolving for the first time in the country, the quality accreditation standard for schools which defines quality governance in schools for providing holistic development of students. 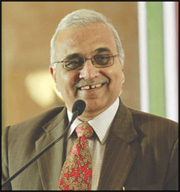 Prior to his appointment as SG, QCI, he served as Director of Indian Institute of Quality Management, Jaipur. Dr. Gyani holds Doctorate degree in Quality. He has been conferred with 16th Lal C. Verman Award in year 2002 in recognition with distinguished contribution in the field of standardization, precision measurement & quality control. He is recipient of Rotary Centenary Award in year 2004 for Excellence in the field of Quality. One of the prominent industry magazines; SME WORLD in its cover story of June 2012 issue described Dr Gyani as Quality Man of India. Dr Thuppi Venkatesh is a professor Emeritus at St John’s Medical College Bangalore. He is CEO and the Director of the Foundation for Quality India (FQI) and the Director of the National Referral Centre for Lead Projects in India (NRCLPI). 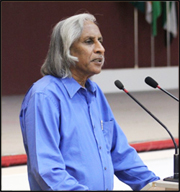 Dr Thuppil is the current National Chairman of the Indian Society for Lead Awareness and Research (InSLAR) (www.inslar.org). He is also called as the Lead Man of India and was director of project Lead Free of The George Foundation which was instrumental in getting the unleaded petrol to India in March 2000. He served as the National Chairman in getting the Gazette notification for defining the limits for lead contents in paints. Dr. Venkatesh is also the Lead/Principal Assessor for the NABL & NABH under Quality Council of India (QCI). He is also the adviser to CAHO and AHPI. Served as an accreditation committee member for NABL, NABH, DAC Dubai and serving as the Chairman of Laboratory Accreditation Board of Nepal. Dr. Venkatesh is International Chairman for the Chronic Hypoxia Society and visiting professor of Zubeita University, Bolivia and Visiting Scholar of the University of Cincinnati, USA. He is the recipient of the International award for Science, Truth and Honor, prestigious Arya Bhatta Award apart from the life time achievement award from CAHO. He is also technical adviser to UNIDO and WHO. He has published over 350 scientific papers in peer reviewed journals. Dr. Gupta is Addl. Medical Director & Head of Department, Department of Pathology and Transfusion Medicine at S.D.M. Hospital Jaipur. 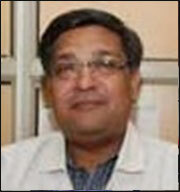 Dr. Gupta completed his MBBS and MD (Pathology) from SMS Medical College Rajasthan University, Jaipur. Dr. Gupta has special interest in implementing and developing quality management system in diagnostic lab and blood bank. He is accreditation committee member as well as lead assessor for National Accreditation Board for Testing and Calibration Laboratory (NABL). He is also technical committee chairperson and principal assessor for National Accreditation Board of Hospital and Healthcare Provider (NABH) Blood Bank. He is member of state blood transfusion council and also counsellor trainer for HIV/AIDS for Govt. of Rajasthan. Dr. Gupta has conducted many training programmes in India and neighbouring countries for implementation of Quality Management in diagnostic labs and blood banks. He has been faculty in many national and international conferences and CMEs. He has 13 publications in national and international journals. He is editor and member editorial board of journal of repute. He is also a member of the governing council of Asian Association of Transfusion Medicine. He has received many awards including 'outstanding contribution award for HIV Prevention' by Rajasthan State AIDS Control Society, 'Outstanding Contribution Award" in field of Pathology by IAPM (Rajasthan Chapter) and 'Chikitsa Vibhusan award'by Jaipur Medical Association (JMA).